My car buying experience at Volkswagon of South Mississippi was nothing short of a great experience. From the first phone call from Norm to set up an appt to the final signing of the paper work. If you are in the market for a new ride I suggest you give Norm a call at Volkswagen of South Mississippi. Buying my 2019 Jetta GLI Autobahn was a stress-free, pleasant experience. The sales staff were friendly, engaging and not pushy in trying to add additional options. The sticker price was VW standard MSRP with no loaded additional items to fluff the dealership profits. Domestic car companies should learn that. I would recommend VW of South Mississippi to anyone. My husband and I love working with Gerald and have bought a car from him on more than one occasion. He’s super easy to talk to and deal with. He makes the process go as smoothly as possible and doesn’t b.s. during the process. He’s very personable and ultimately looks out for our best interest. So glad to have met him and we will continue to do business with him! Omg guys If you ever need to purchase a new car Gerald is the man at Volkswagen of Mississippi! !Literally the nicest guy ever, and when I say he goes out of his way he does just that!!! We drove an hour to see him, and when I needed to sign the contract the next day, he drove back to me an hour to my work and delivered my car and brought the paperwork to me! !This kind of customer service doesn’t exist anymore. Thank you so much Gerald for everything, and FYI I’ve never been this excited about an new car in my lifetime, I literally ride around smiling now, thank you again!!!!!! Gerald is awesome and very knowledgeable! The overall experience was excellent. The dealership is very clean and professional. They help me get into a super clean and rare Passat GT. Ask for Marshall you will not be disappointed. Great people and service. I went in and they started working on getting me the truck I wanted. Very professional people and clean environment. 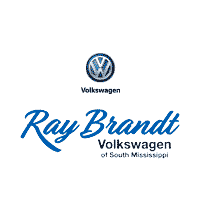 I would recommend the Ray Brandt auto dealers to anyone. Will buy there agin.